In need of a facial but don't fancy splashing the cash? Well... this post is just for you! When my skin is playing up or I fancy a pamper session, I reach for my trusty home made routine. I do tend to mix this up, depending on how my skin is behaving or if I have a new product I want to try, but usually the fundamentals stay the same. First thing being first, if you haven't already, make sure your hair is completely out of your face; either in a messy bun/pineapple at the top of your head or behind a headband in order to make sure you don't get any product on your hair. If you are making the most of the session you will also be wearing something comfy and have a relaxing scented candle burning away. My first product is usually a cleanser, I tend to use a cleanser that has a thick texture. I prefer a thicker texture as I enjoy applying lots and removing it along with my make up. I apply this all over my face, if you have an eye-friendly cleanser you can also remove your eye makeup. In circular motions I then work this into my skin to remove any make-up and help unclog my pores. Washing this away with a big handfuls of water splashed onto the skin is much better in my opinion than using a cloth as I find it more refreshing. Next, I use another cleanser. On days where I am not wearing much make up, or none at all, I will skip the first step above and use this as the first step in the process. 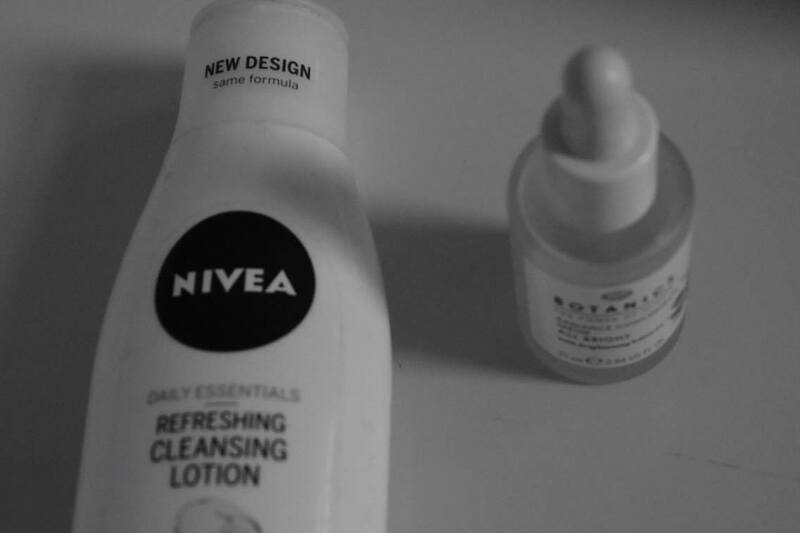 In these cases you only need to cleanse the once as this tends to only require a thiner layer, a water based cleanser for instance, to hydrate the skin and ensure that the last little bits of make up have been removed and your pores are unclogged. 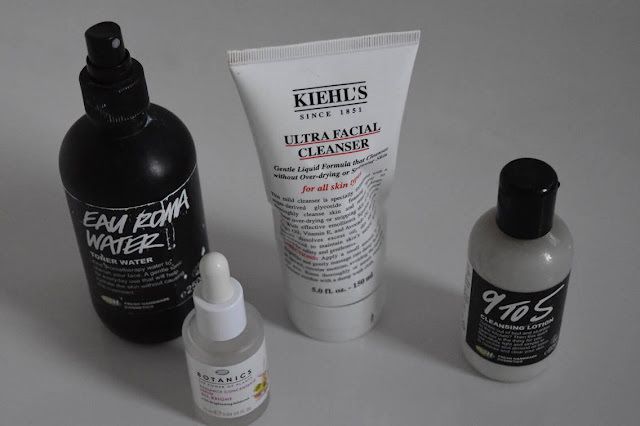 This second cleanser (or first if you've skipped the first step) I like to use for brightness, so I will look for natural ingredients that are not too harsh on my skin but still will leave a fresh feeling. Again, I will work this into my skin in circular motions and remove with warm water. After the cleanser has been removed, I apply a face scrub. I look for ones that have an exfoliating function so they will work well to unclog your pores, removing any dead skin cells to give some glow back to your skin. I apply a thick layer on my skin, working this in avoiding my eye area, as they do tend to be more sensitive, and then I remove this with a warm damp cloth. I find this really relaxing and helps with any redness that the face scrub may cause or leave behind. This next step you could leave out, but I usually add this in if my skin has been plagued with spots or blemishes. I use a face scrub that foams up when applying so its easy to remove and feels a lot lighter on my skin. I look for washes that have brightening ingreidents and won't remove any moisture and dry out my skin. I then remove this with a hot muslin cloth, I think this helps in retaining moisture and leaves a fresh feeling. I finally follow this up with a toner water to make sure all the products have been removed and nothing has been left behind. I go for toners that are anti-bacterial containing tea tree or calming so contain lavender to help with any redness of the skin. It takes a bit of time, but it's well worth it, not just for the results, but for the therapeutic effects of the process itself. Go on, treat yourself!